I acknowledge that this is the second loaf cake that I have posted here in less than a month. The last one, a pear and dark chocolate gem, is perfect as a special occasion treat. While it might look understated, it is a knockout filled with chunks of dark chocolate nestled in a brown butter cake batter. This blackberry apple cake, on the other hand, is for snacking. It’s amazing how two cakes that look so similar can be made up of such different ingredients. While I certainly love making indulgent desserts every once in a while, it’s way more essential for me to have somewhat healthy, homemade snacks that I can eat throughout the day. Every day between meals, I may eat some pickles, nuts, or squares of dark chocolate (sometimes all within the same snacking session). 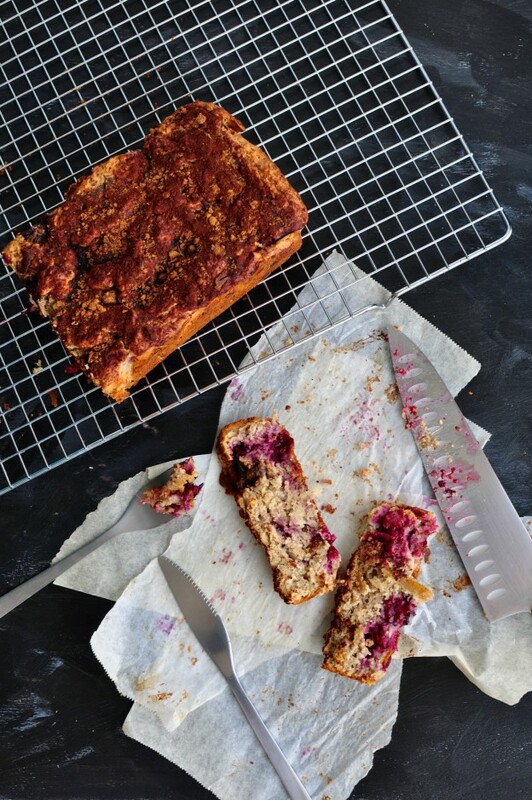 But, the best weeks are when I have prepared something like this blackberry apple snacking cake. It’s a perfect sweet treat that feels extra special and indulgent but that I know is actually made up of pretty great ingredients. This entry was posted in Dessert, Potluck Dishes, Snack and tagged apple, Blackberry, blackberry apple cake, blackberry apple cake recipe, blackberry cake, blackberry recipe, cake, cake recipe, Dessert, dessert recipe, food, gluten free, gluten free cake, gluten free cake recipe, gluten free dessert, gluten free dessert recipe, gluten free recipe, Healthy, healthy cake, healthy cake recipe, healthy dessert, healthy sweet, recipe, Snack, snacking cake, snacking cake recipe, Sweet, sweet recipe on March 20, 2016 by mysecondbreakfast.